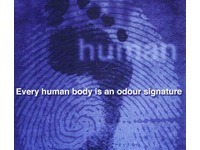 Our work uses contemporary aroma technology to explore the world of Osmo-Art (Osmo from the Greek, relating to smell). This we do in myriad forms, including smart osmo-garments and the ‘wellness’ experience; dynamic electronic delivery of abstract aroma experiences; olfactory interpretations of paintings; and live perfume performances. Of William Blake’s ‘five windows of the soul’, smell receives little attention in our culture. Vision is stimulated with painting and art lessons; our hearing is trained in music lessons; but – was your sense of smell trained? Enhancing smell, taste and the trigeminal senses, the so-called chemical senses, means enriching the direct interaction between nanoparticles called molecules and the brain. As the stimulus is not a vibration like sound and vision, when we sniff an object our brain apprehends ‘smellecules’ ™ which are the molecules floating from the object into the air. 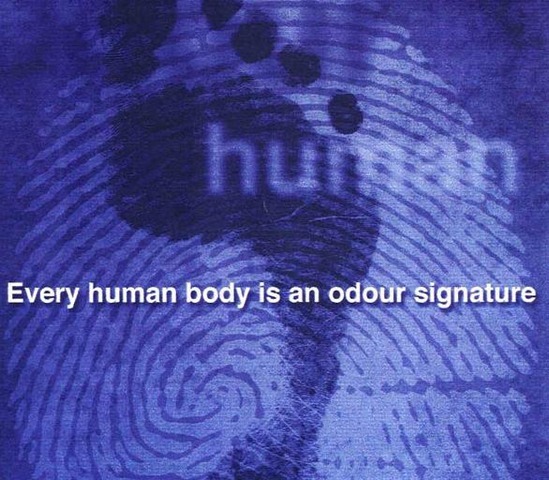 We discover the most direct way our brain has of interacting, of sharing information with the external world – the sense of smell being intimately plumbed into our memory and emotional centres, we become aware of our personal smell sensory universe. The expanded smell experience is triggered by sensitive clothing and dynamic electronic emitters acting as artificial gland and scent detectors. The trained and enhanced sense of smell gives a new sense of wellbeing, intimate feeling of our personal scent atmosphere. By linking direct emotions and abstract smells and by playing with profound memory evocation and hedonic feelings, we discover a wellness sensory experience. We open a new scent dimension – the Osmo Art Dimension. 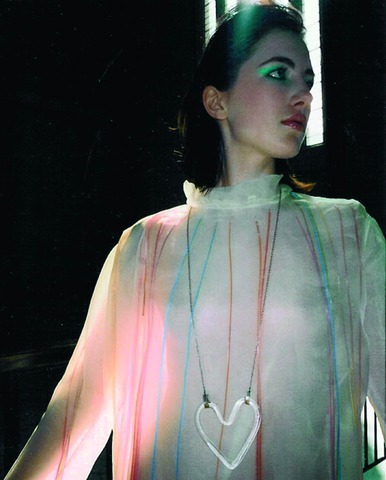 'user_mode' was an international, multidisciplinary symposium looking at interactive art and design practices. It examined one of the key concerns for many creative practitioners - engaging the emotions of the audience/user. Artists, designers and critics frequently refer to 'emotional engagement'. What is meant by this? Is it immersion, rapture, agency, reflection? This question is crucial to interactive art and design practice where the user's response is sensitive to context and can not only influence the form and content of the work but also, in some cases, the future direction of technological development. user_mode aimed to locate techniques, instruments, contexts and terms to provide clearer insight into this theme. user_mode provided an opportunity to hear from internationally renowned artists, designers and theorists as well as emerging practitioners. Concerts, performances and drop-in studios featuring artists, designers, architects, researchers and technicians informally presenting works in progress complemented presentations and panel discussions.